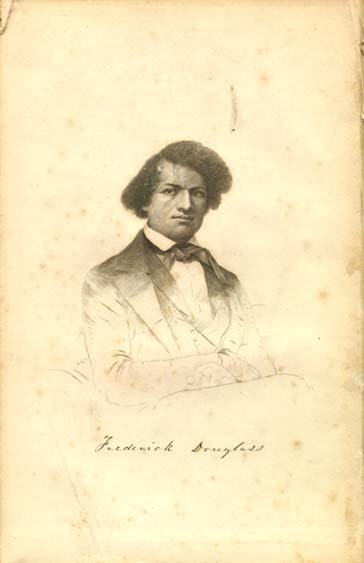 On September 3, 1838, abolitionist, journalist, author, and human rights advocate Frederick Douglass made his dramatic escape from slavery—traveling north by train and boat—from Baltimore, through Delaware, to Philadelphia. That same night, he took a train to New York, where he arrived the following morning. Only a small boy when his mother died, Douglass, born Frederick Bailey, lived with his grandmother in the slave quarters until he was eight years old, when he was "hired out" and sent to work in the home of Hugh Auld. 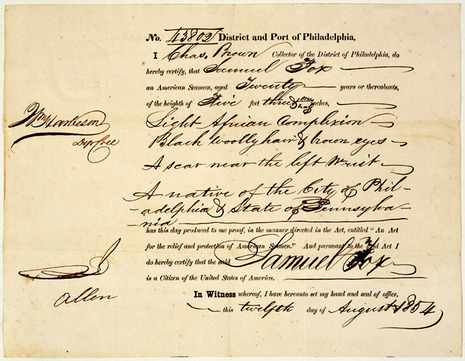 While working for the Auld family in Baltimore, Frederick began to acquire a formal education. Mrs. Auld broke Maryland state law in order to teach the young boy to read, and Frederick later tried to learn all he could from schoolboys he met on the streets of Baltimore. On September 3, 1838, Douglass successfully escaped by boarding a train to Havre de Grace, Maryland. He was dressed in a sailor's uniform and carried identification papers provided by a free black seaman. He crossed the Susquehanna River by ferry at Havre de Grace, then continued by train to Wilmington, Delaware. From there he went by steamboat to "Quaker City" — Philadelphia, Pennsylvania — and eventually reached New York; the whole journey took less than 24 hours.